Yesterday I did something I haven’t done during my Kiss Goodbye to MS challenge so far and that’s a 2 reds in 1 lipstick day. 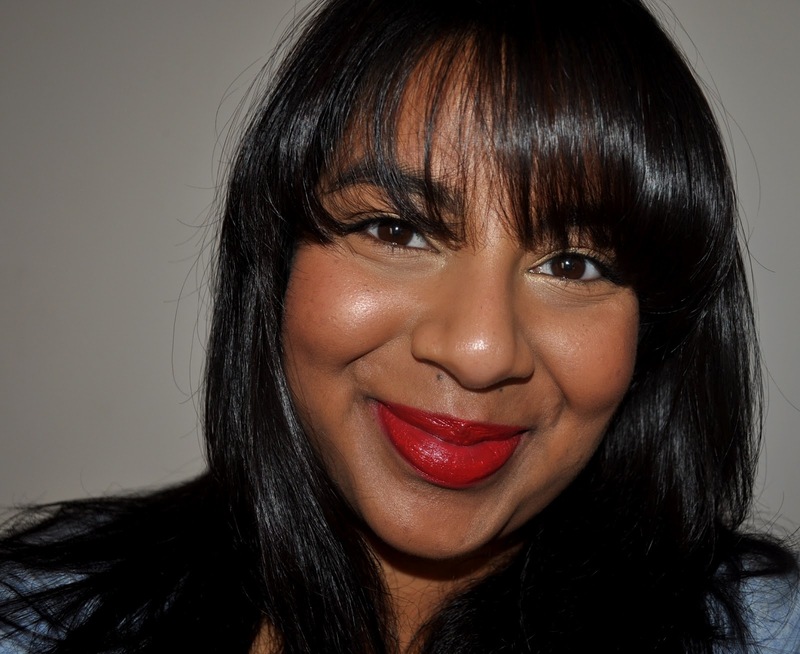 During the day I met up with my friend J for some lunch and shopping and I decided to pair NYX Plush Red lipliner with NARS Bloodwork lipgloss. Every picture I took looked like I was about to burst out laughing because she kept making me laugh while I was taking my photos. It’s so much harder trying to take your self seriously when doing these kind of photos when you’ve got friends with you during the shoot! I kept my eyes super simple and went with makeup that just evened out discolouration on my lids. This eye look is one of my favourite things to wear when going for a ‘no makeup’ makeup look and it’s great for when you want to look polished but not made up. I primed my lids with Urban Decay Primer Potion, concealed my lids from lash to browbone with MAC Studio Finish Concealer in NC42 and then blended MAC Studio Fix Powder in NC42 over the whole area. 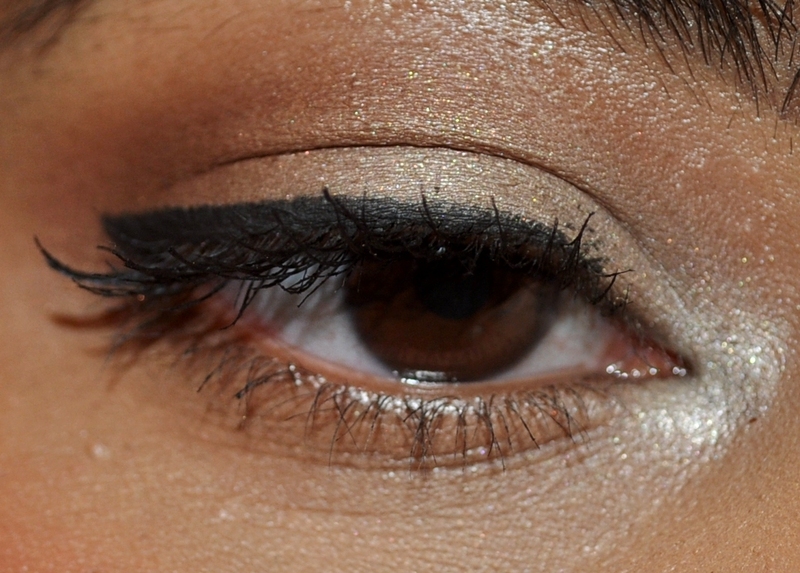 I finished up by applying a bit of MAC Ricepaper eyeshadow around the inner corner. I also curled my lashes which I don’t usually do with any other eye looks and applied Estee Lauder Sumptous Bold Lifting mascara. For the night, I was heading out to a concert with my friend Becks so I thought I’d change up my makeup just for the fun of it! 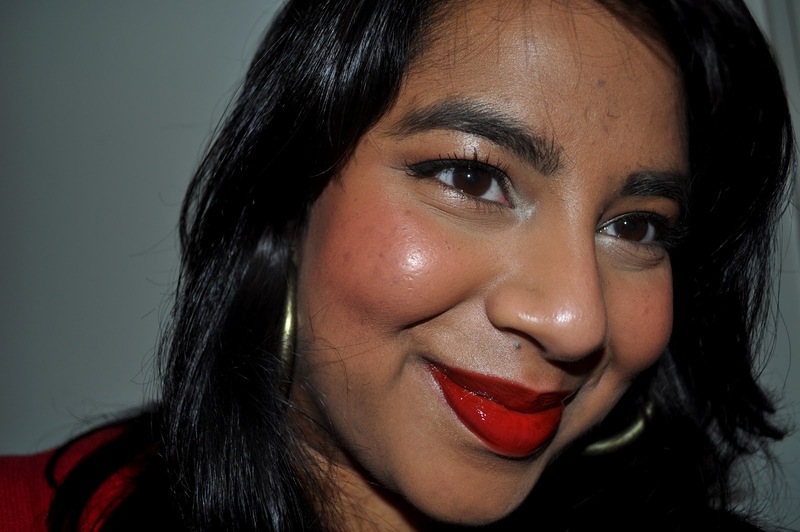 I used the Coral lipstain marker by TKO on my lips and built it up to quite an intense colour and then topped it with my Pixi Lip Booster is Zusana. I loved the combination and the earthy red it created. It was also really moisturising which was fantastic since the weather last night was absolutely freezing! For the eyes I primed my lids as usual and then applied MAC Soft Ochre Paint Pot to my lids. 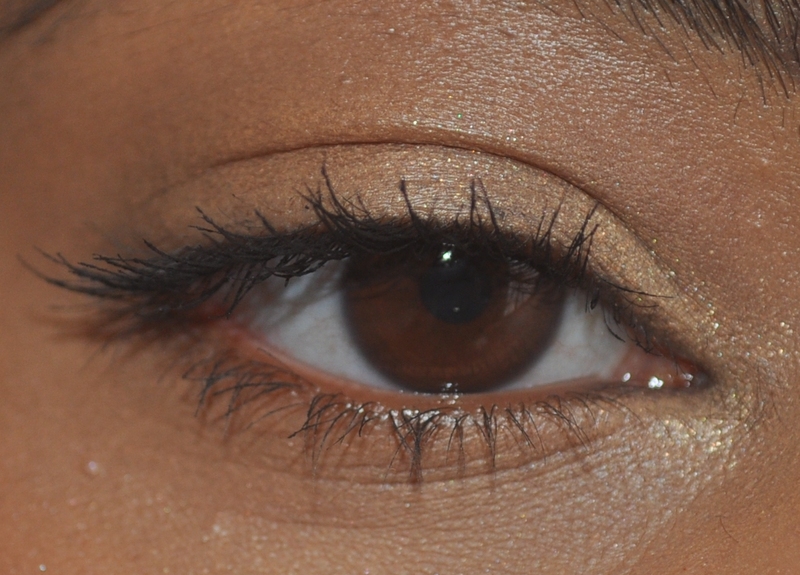 I used a mixture of MAC Ricepaper eyeshadow and MAC Soba eyeshadow on the lid. I love this combination because it gives me a shade that’s slightly lighter than my natural skin tone that also has a slight sheen to it. I applied MAC Texture eyeshadow in the crease and MAC Nylon eyeshadow around the inner corner.I finished up with MAC Blacktrack Fluidline and a coating of the Maybelline XXL Pro Mascara. 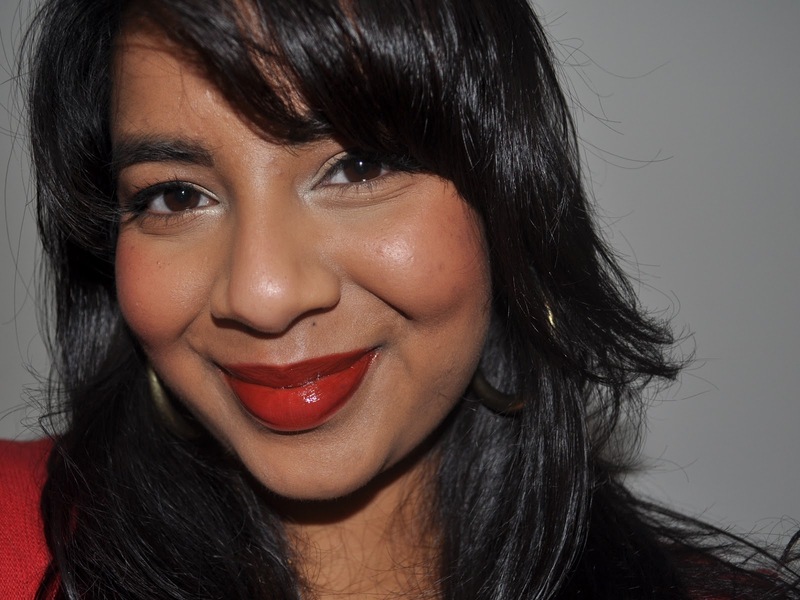 On my cheeks I went with NARS Exhibit A blush which has been my most reached for blush during this month. It’s the perfect accompaniment to pretty much every red shade I own. I love the healthy flush of colour it adds. I went for a bit more than usual in the picture below but it’s easily toned down by blending some face powder on top. 26 downs, 5 to go! I’m so excited that there’s only 5 days left until I can start wearing shades other than red again but even more excited that I’ve managed to raise $400 so far for research into Multiple Sclerosis. If you’d like to donate, please click here. Star Vogue: Thank you so much for your lovely comment! 29 yr old Melbourne blogger/lawyer writing about all things beauty related. Check out the 'About me' tab above if you want to know more.